One night in a church service a young woman felt the tug of the Holy Spirit in her heart. She responded to God’s call and accepted Jesus as her Lord and Savior. The young woman had a very rough past, involving alcohol, drugs and prostitution. But, the change in her was evident. As time went on she became a faithful member of the church. She eventually became involved in the ministry of the church. It was not very long until this physically and spiritually beautiful young woman caught the eye and the heart of the pastor’s son. The relationship grew, he asked her to marry him, and they began to make wedding plans. This is when the problems began. The whole church began to weep as they realized that they had been slandering the blood of the Lord Jesus Christ. Too often, even as Christians, we bring up the past and use it as a weapon against our brothers and sisters. Forgiveness is a foundational part of the Gospel of our Lord Jesus Christ. If the blood of Jesus does not cleanse the other person completely then it cannot cleanse us completely. If that is the case, then we are all in a lot of trouble. What can wash away my sins? Nothing but the blood of Jesus! End of case!!!! 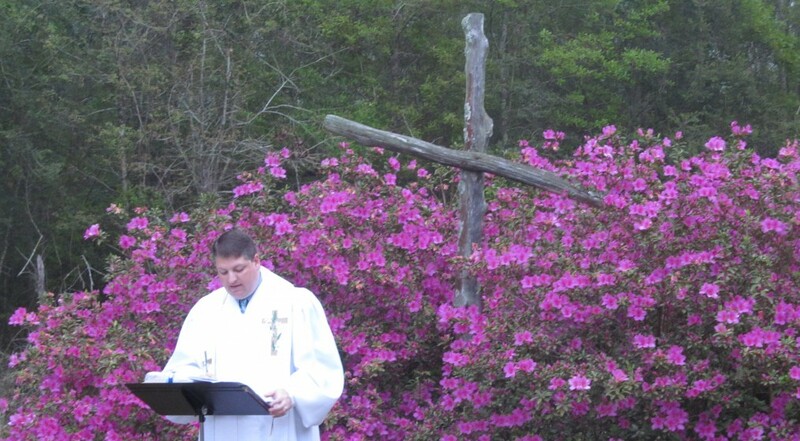 It is a powerful question: Does Christ wash away sin or not? If he does not, we are all in trouble. What about us? Are we willing to give a second chance? In Jeremiah, God says to us, “I will forgive their wickedness and will remember their sins no more.” In Jeremiah, the people of Israel had completely broken their covenant promises and God was upset. They had blown it big time. Only a miracle could save them now. That miracle was to be found in the love, forgiveness, and second chances of God. On Saturday, August 23, I sat in my recliner after a busy week of ministry to watch my favorite professional football team, the New Orleans Saints, face the Indianapolis Colts in their 3rd preseason game. The announcers for the game were Ian Eagle and Dan Fouts,who was providing the color, or expert, commentary. Dan Fouts certainly qualifies as an expert in the game. 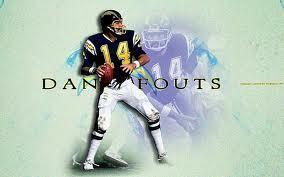 A pro football Hall of Fame member, Fouts threw for 43,040 yards and 254 touchdowns during his 15 years with the San Diego Chargers (source http://en.wikipedia.org/wiki/Dan_Fouts). During the game, Colts quarterback, Andrew Luck, underthrew a receiver late in the second quarter and the ball was picked off by the Saints safety Kenny Vaccaro. What surprised me about the play was not the interception, nor the underthrown ball, but Fouts’ reaction to it. Fouts said that Andrew Luck would remember that throw, just as Fouts said he remembers every one of the 242 interceptions that he threw in his career. I found it surprising that Fouts remembered the exact number of interceptions he threw and that he claimed to remember every one of those mistakes. I wondered if he could remember the great plays and throws he made over the years and if he knew the the exact numbers of all the positive things he did in his career such as the many touchdowns and thousands of yards mentioned earlier. My guess (and it is only a guess) is that Fouts could probably not remember all of the great throws and great moments he had to help San Diego have so many successful seasons. I couldn’t help but wonder why it is the bad things that we remember rather than the good things. Why is it so hard for us to let our past go and forgive ourselves for our past mistakes, which are sometimes much worse than an interception in a football game? The Bible is full of verses about God’s forgiveness. 1 John 1:9 says “If we confess our sins, he is faithful and just and will forgive us our sins and purify us from all unrighteousness.” Micah 7:18-19 says “Who is a God like you, who pardons sin and forgives the transgression of the remnant of his inheritance? You do not stay angry forever but delight to show mercy. You will again have compassion on us; you will tread our sins underfoot and hurl all our iniquities into the depths of the sea.” My favorite verse on forgiveness is Psalm 103:12, which reads “as far as the east is from the west, so far has he removed our transgressions from us.” These are only a few of many bible verses about God’s forgiveness. So if God is willing to forgive us and remove our sins and mistakes from us, why is it so difficult for us to forgive ourselves and forget our mistakes? I am reading a book by Adam Hamilton titled “Forgiveness:Finding Peace Through Letting Go.” I am reading and studying it in preparation to use it as our fall study at Pine Ridge and Tangipahoa United Methodist Churches. While studying and considering the content of the book, I discovered some unforgiveness in my own life and I am trying to let it go. Who was the one I had to forgive the most? Myself! I was still holding on to mistakes and regrets in my own life that were stumbling blocks to me personally and professionally. Maybe that is why what Adam Hamilton calls the six hardest words to say (I am sorry; please forgive me) are in the first person tense. Maybe that is why Dan Fouts remembers the 242 interceptions rather than the 43,040 yards and 254 touchdowns. Maybe if we are going to get serious about forgiveness, we need to start with forgiving ourselves and letting go of our mistakes. Questions to consider: When have you had a hard time forgiving yourself for past mistakes? Why? How did (or have you) made peace with those mistakes? If God is willing to forgive us, why is it so difficult for us to forgive ourselves?